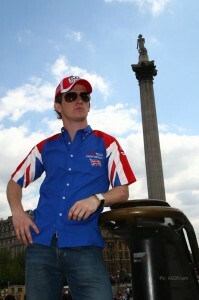 “I’m just maintaining the relationships with people and keeping up a presence,” he said in a phone interview with Brits on Pole and Planet-IRL.com, conducted as he was about to meet with his former boss from his Champ Car days, HVM team owner Keith Wiggins. 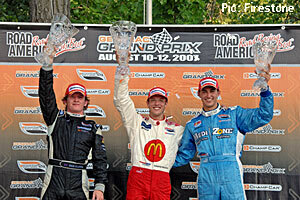 ‘Speedy Dan’ earned podiums at Denver and Road America during his two seasons in Champ Car with Wiggins’ team, which was known as CTE-HVM Racing in 2006 and Minardi in 2007 following a short-term buy-in by Paul Stoddart. Less happily, he also picked up a one-race ban for causing a four-car crash in practice while under probation for a previous incident. That particular incident aside, he’s keen to rejoin the world of American open-wheel racing – and it seems that more than a few people would be happy to see him back. He said: “I was at Mid-Ohio at the weekend, got to watch that race in the pit lane and meet a lot of people again and catch up. There were a lot of fans at Mid-Ohio that remembered me and everybody was well-wishing me to get into IndyCar. Like many Champ Car drivers, Clarke found himself in the wilderness after the series folded itself into the IRL – but he bobbed up again last year in A1GP, taking over at Team GBR part-way through the season. Despite the team crumbling around him as its management went into administration, he flew the flag for Britain in New Zealand and Portugal before producing one of the overtakes of the season to pass Australia’s John Martin in front of his home fans at Brands Hatch. But, while A1GP remains a possibility for this winter if the series manages a fifth season, America is where his ambition lies. “IndyCar’s the focus right now. I think as a driver I’ve proven myself in Champ Car and since then I’ve remained out here in the US, initially to see how the unification went in the first year. 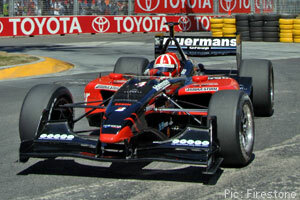 “I worked my way through the UK and did British Formula Three in 2005. Following that season, instead of doing another year of British F3 and going for the championship against Mike Conway we opted to come to America. “What really turned me onto Champ Car coming from Formula Three is that suddenly the races were two hours long and you had pit stops and you had fuel strategies and you had yellows – maximising all of that to come up with a good result, and maybe going out and partying with with the guys afterwards. The post-unification road for the IRL has been bumpy in places, with particular criticism reserved for the quality of racing produced by the Dallara/Honda/Firestone package currently used by the league. But Clarke draws hope from discussions that could lead to an opening-up of the series and increased technical innovation. This, he thinks, would improve the profile of the IRL, drawing in more sponsorship and opening the door for drivers such as himself to return. He said: “A lot of exciting stuff is being talked about right now – not just the races and the schedule but the engines and the cars and what future there could be for American racing. A lot of people are quite critical of the current situation but it seems to me to be heading for a very bright future in a few years. It’s going to be an exciting series again, and that’s where I want to be. “IndyCar’s going to change, it’s going to improve – IndyCar will be the place to be, the sponsorship will follow, and drivers like myself, like PT, like even Sebastien Bourdais if he’s considering coming back, we’re all going to have an opportunity to race again. Clarke’s determination to crack the IRL next year doesn’t seem to rule out the possibility of a return to A1GP this winter if the chance arises – in fact, he has already held at least one meeting in an attempt to secure the drive. The problem he – and just about everyone else interested in the World Cup of Motor Sport – faces at the moment is how to find hard facts in the face of the financial difficulties faced by Team GBR last season – and also, reportedly, by the series itself. He said: “As far as which way goes I have no idea really who’s going to take over that team. I think it’s quite open, a lot of people are trying to get in that seat because it’s locked out to just the British drivers and there’s a lot of good British talent out there. Driving in the British rounds of the championship made a big impression on him: “It was a huge thrill to fly the British flag, especially because I got to do it at Brands Hatch in front of the home fans. I just want to say thanks to everybody that came – that was a really amazing weekend for me to have everyone support me there. 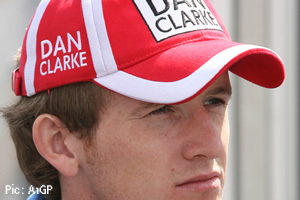 The reality at the moment, of course, is that Clarke is one of many drivers seeking a small number of opportunities. To get ahead of the pack he and his manager, music impresario Chas Cole, have worked hard on his personal image, branding him as ‘Speedy Dan’ and exploiting his distinctive red and white helmet design. “A lot of people out here – celebrities – all brand themselves and it’s important to be recognised for who you are and the qualities you have. There is a saturation of celebrities and sports stars here and it’s hard to be recognised, it’s hard to get TV time these days. Dan Clarke was talking to Kohl Kirkland of Planet-IRL.com for that site’s regular podcast, with Brits on Pole’s Andy Darley as co-interviewer. We’re grateful to Kohl for his invitation to join in, and to Dan for agreeing. Golly! I have my own tag on Britsonpole.com! I can die happy now. ;) It was fun, Andy. Dan was very open about it and I hope to see him behind the wheel again. You’re welcome back any time. Categorised under A1GP, Champ Car, IndyCar Series, tagged under A1GP, Dan Clarke, IndyCar Series.